If you had to come up with a top 10 list of uncomfortable situations, being stuck inside on a hot day without air conditioning is probably on there. 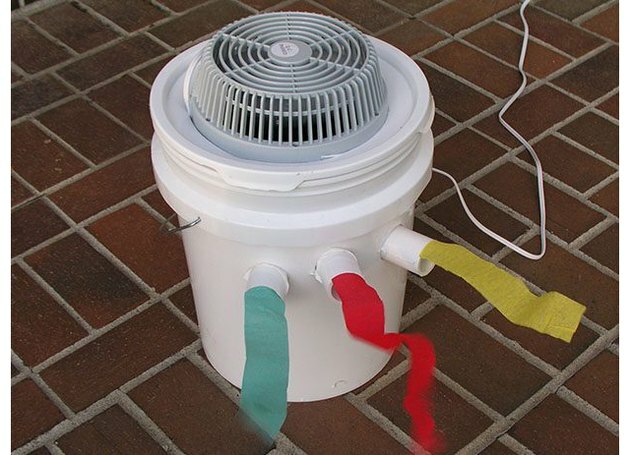 Having a fan blowing hot air around is little relief, but you can take that same fan and turn it into a portable AC unit with only a few additional supplies. 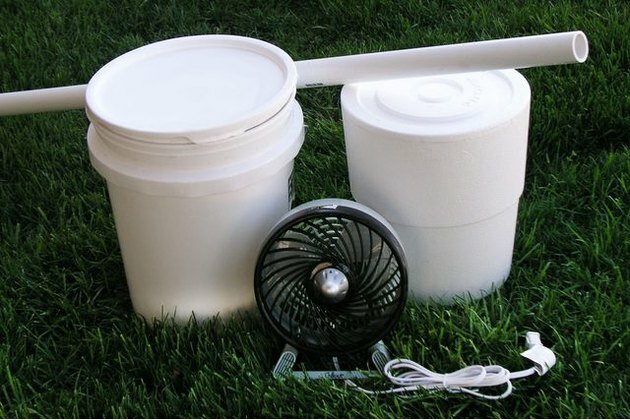 This portable bucket air conditioner can easily and cheaply be put together and serve as a personal cooling device making life a little more comfortable. Supplies for this project are cheap and readily available. 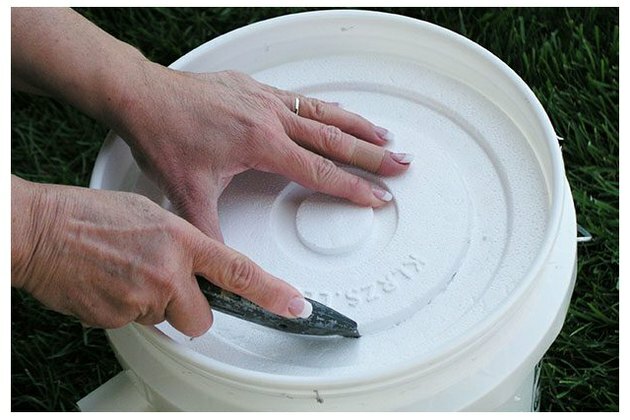 Five gallon buckets can often be recycled from painters or bakeries. Making these devices and distributing them to those in need would be a great community service project during the hot summer months. Some people without air conditioning, especially the elderly, can be extremely vulnerable in hot weather. 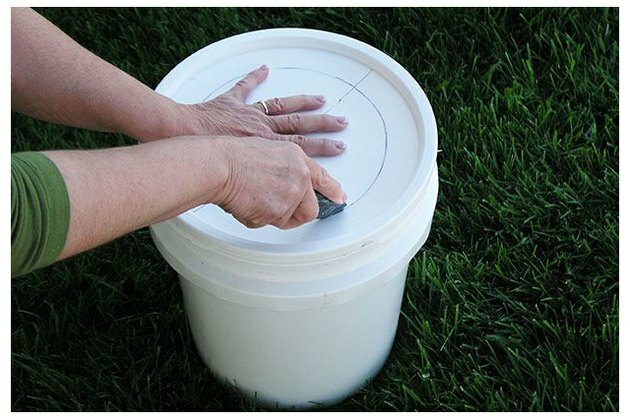 Set the fan upside down on the lid of the bucket and trace the outline. Using a utility knife and being very careful, cut along the traced line. Cut slowly using a sawing motion. 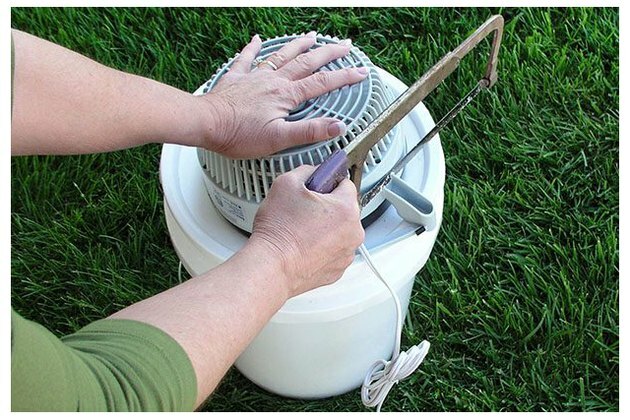 You might need to trim slightly to get a good fit with the fan. Note: If the lid is made with thick, rigid plastic, it might be easier and safer to cut the hole with a jigsaw and fine-tooth blade, a rotary tool or a fine-tooth keyhole saw. Make a starter hole for inserting the saw blade by drilling just inside the marked outline with a 1/2-inch bit. Depending on the type of fan you are using, it might be necessary to cut away supports or stands. A hacksaw works well for this. Fit the fan into the cut hole and set aside. Clamp or hold the bucket securely and drill three holes in the side of the bucket with the hole saw or Forstner bit. 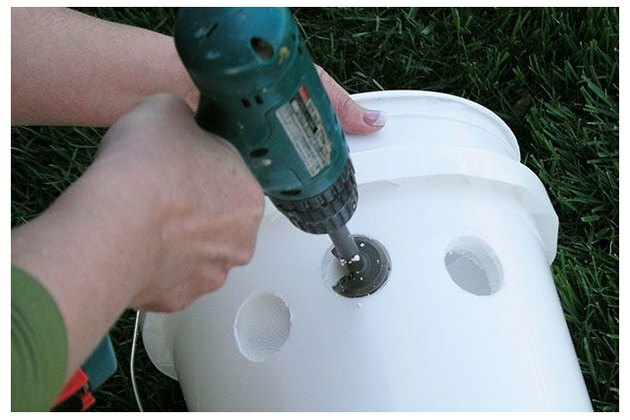 Slide the inner styrofoam bucket into the plastic bucket and drill through the previously drilled holes. 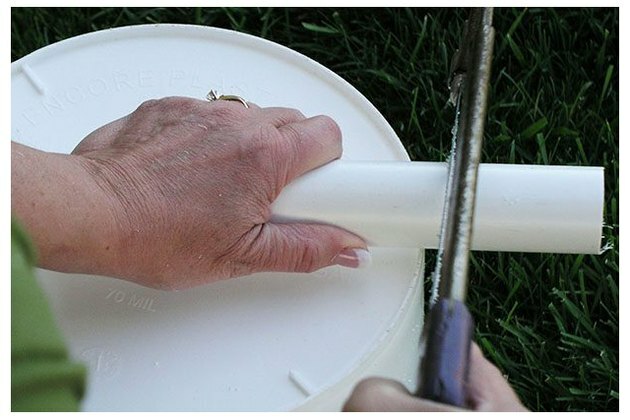 Cut the PVC pipe into three pieces about 3 to 4 inches in length. A hacksaw works well for this. 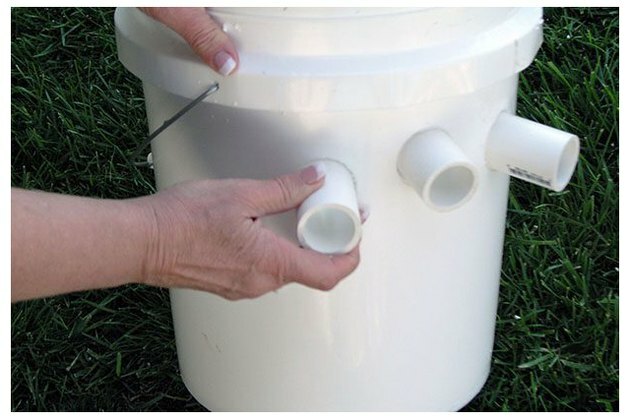 Slide the PVC pipe sections into the holes. The fit should be snug and can be sealed if necessary with expanding spray foam from the inside. 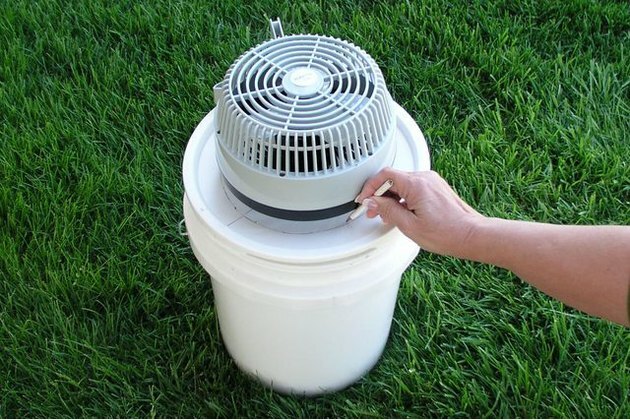 Cut the top out of the styrofoam bucket lid to accommodate the fan. 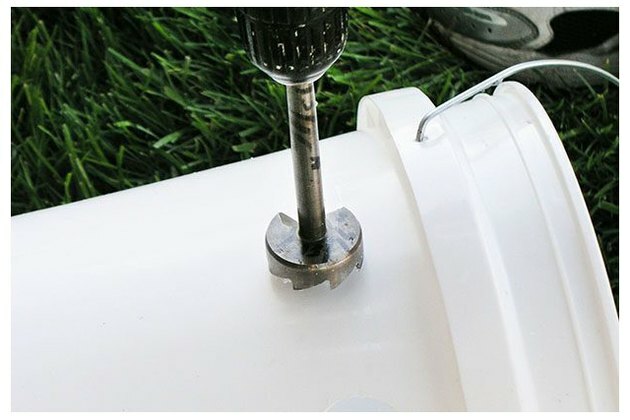 This fit is not critical and the unit will operate without the lid, although fitting it will help insulate the ice in the bucket and extend the operating time, which should be about six hours. 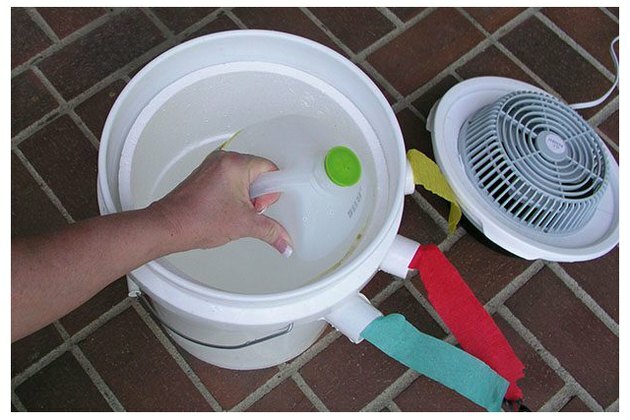 Place the frozen gallon container of water in the bucket and put the styrofoam lid in place. 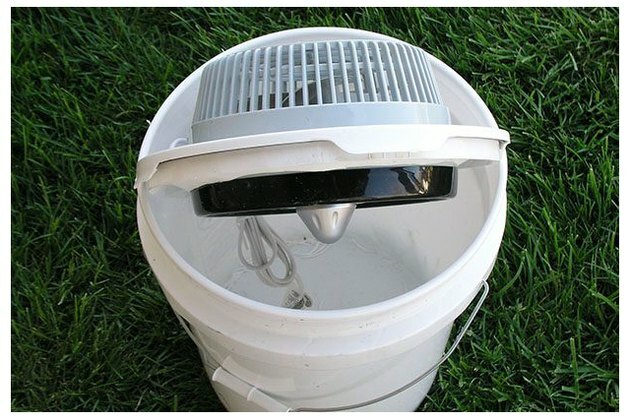 Attach the plastic bucket lid with the imbedded fan and plug in the new portable bucket air conditioner. Enjoy the cool (about 68º) air coming out of the unit. How do I Make An Igloo Margarita Machine?